Patrón Tequila has launched its 2017 quest to find its Margarita of the Year, coinciding with International Margarita Day held on 22 February. Following the competition’s 2016 launch, this year seven bartenders from around the world met at the Hacienda Patrón, Jalisco, Mexico, to create their own interpretation of a Margarita serve, using local ingredients and cultural references. The cocktails, all of which use Patrón as a base spirit, will be unveiled at events in New York, Sydney, London and Mexico City. For those unable to attend the events, Patrón has enlisted delivery service Cocktail Courier to create an at-home Margarita of the Year kit with ingredients and garnishes. In addition the cocktails will be available to taste at key bars and restaurants, detailed at MargaritaOfTheYear.com. Consumers have until 9 April to vote for their favourite at MargaritaOfTheYear.com. The three top voted serves will go through to a final on 17 April, ahead of Cinco de Mayo, when the Margarita of the Year will be announced. 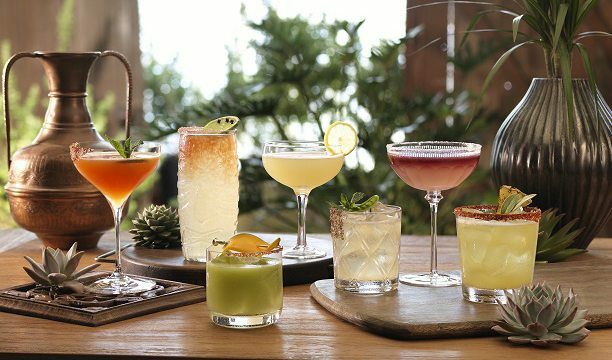 “The Margarita has been the most popular cocktail in the US for years, and for good reason given the tremendous creativity we’ve seen, particularly in the last several years as culinary and mixology trends have intersected,” said says Lee Applbaum, Patrón’s global chief marketing officer. “What’s really quite exciting to see is how much the margarita’s reputation has grown globally as local flavours and styles have been integrated into this iconic cocktail. The winner of the inaugural 2016 Margarita of the Year contest, Jordan Corney from Texas, added: “It’s truly amazing to see the countless styles of margaritas and the unique and inventive recipes that are being developed by bartenders across the world. Last month, Mike McGinty, owner of Edinburgh bar The Voyage of Buck, was named World Champion of the first international Patrón Perfectionists Cocktail Competition.